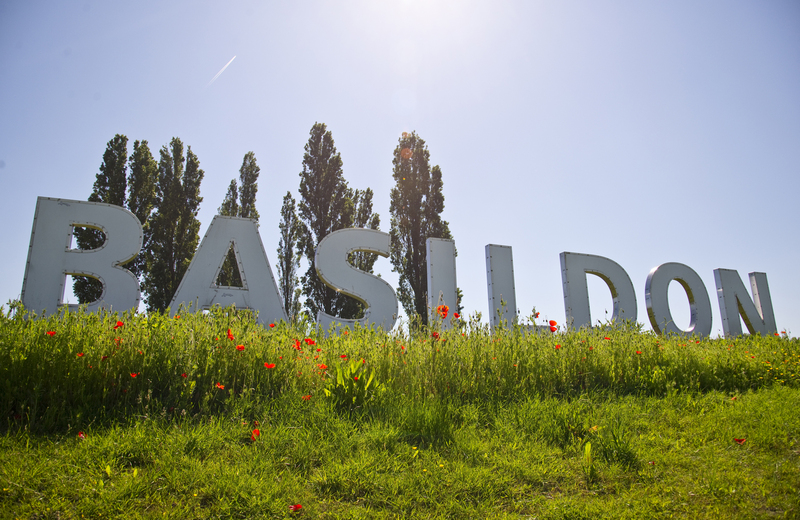 What comes to mind when you think of Basildon, Essex? New town housing estates, the tractor plant, the glass bell tower of St. Martin’s Church, the Hollywood-style Basildon sign along the A127? 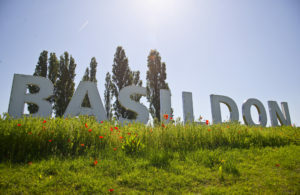 Well, in future, people may associate Basildon with cheese! Yes, really. 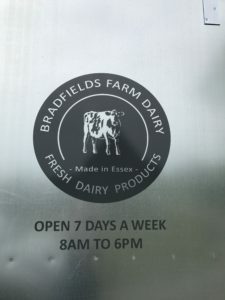 Bradfields Farm is along Burnt Mills Road and the dairy is a recent addition. It sells pasteurised milk, cream and a variety of cheeses, all of which are on sale in the automated farm shop. My friends took me there the other day and we met Clare and John, who have just set up the dairy on the farm that has been in Clare’s family since 1922. We sampled three types of soft cheese and one hard cheese. The soft cheese – Bure’s Essex Cheese – tasted creamy and had the consistency of soft, crumbly Feta cheese. The other two types of soft cheese were mixed with herbs – one with basil and one with mint. The hard cheese was similar in taste and texture to Spanish Manchego. Bradfields Farm is small, consisting of less than 250 acres of land. They have over 120 cows – Friesian Holsteins, which are bred on the farm and which graze outside whenever the weather allows, producing over a million litres of milk per year. The milk that we brought away from the farm had been taken from the cows and pasteurised the previous day, so is really fresh. It is also not homogenised, so if you remember gold top milk (perhaps you can still buy gold top milk?) with the layer of cream at the top of the bottle, it is similar to that. If you’d like to find out more about Bradfields Farm their website is here or if you’re in the area, why not visit? As well as coming away with cheese, cream and milk, I also managed to do a bit of research for my latest book! When my friends and I arrived, the cows were queuing up to be milked and I asked John if they had to be rounded up or if they gathered together on their own. Apparently, it’s a bit of both. Part of my story takes place on a farm during World War Two with some Land Army Girls looking after a herd of cows and I wondered if they had to round up the cows or whether they found their own way to the dairy to be milked. And now I know! I live about half a mile from this road and have never heard of Basildon Cheese, will certainly be visiting soon. It would be lovely if Bradfields Farm Dairy really took off! Clare and John were lovely to us when we visited and the samples we tasted were delicious. It’s nice to know that everything is so fresh too.